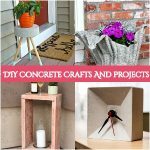 There are thousands of innovative DIY and Crafty blogs out there with quality and worthy projects that work hard to provide awesome DIY projects daily. Our aim is to organize these and help you find the best DIY blog posts. We publish a small description and link to the blog post. We spend hours browsing Pinterest, Google, and Twitter to provide you with quality blogs. Blog post suggestions, and DIY blogger contacts other sources we utilize. We spend money on Facebook ads and work hard to build a crowd. 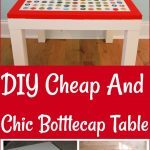 This benefits bloggers see why here over 80% of our visitors check out the websites and DIY projects we review. This is a true Win-Win situation we all strive for. 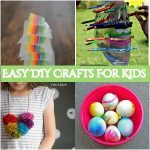 At one point we’ve become bored of the quality of DIY and crafty projects we’ve found, many people just start a blog, post a picture and forget to link the original author (if there are any and it’s not a cool Etsy item on sale) so time was wasted looking at a cute picture without directions. Did we feature your project and you don’t want the free visits? Well, this never happened before but feel free to contact us and we’ll take down immediately. What we feature (editorial team) is always confirmed with bloggers but what you submit and we accept is published without contacting the site owner who usually is the submitter.